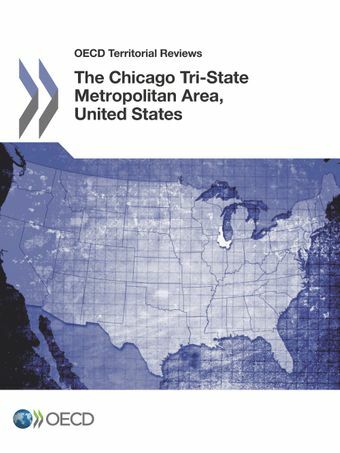 The OECD Territorial Review of the Chicago Tri-State metropolitan area, the first of its kind conducted by the OECD in the United States, assesses the region’s capacity to contribute effectively to regional and national economic performance and quality of life. The Review focuses on four thematic policy issues: i) the effectiveness and coordination of workforce development programmes in the Chicago Tri-State metro-region; ii) the metro-region’s capacity for innovation; iii) its role as a major centre for logistics in North America; and (iv) its capacity to encourage green growth over the long term. The review also focuses on the state of region-wide institutional collaboration and offers a vision for effective tri-state region-wide stakeholder engagement.